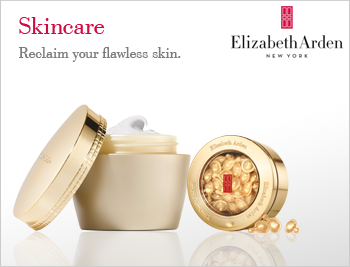 Enhance the beauty of your skin with the Elizabeth Arden Skincare collection, a range of high performance products that improve the overall quality of your complexion. From quenching skincare to anti-ageing innovation, Elizabeth Arden presents products that are luxurious to apply with highly efficient results, ensuring ease of use and comfort at every stage. Super charge your routine with Elizabeth Arden Skincare, and enjoy the benefits of fine formulas and cutting edge technology with every application.